CHARLOTTE, N.C. – Democrats sense a growing opportunity to unseat Republicans as part of a national wave that could put the House speaker’s gavel back in their party’s hands. 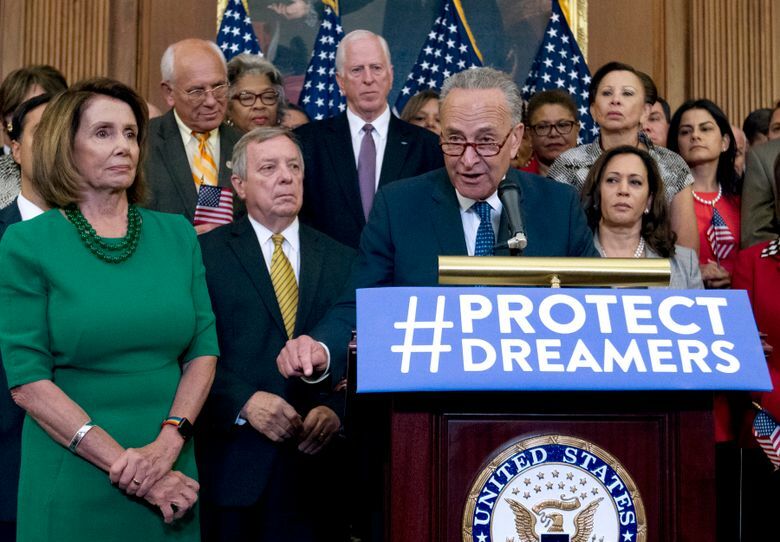 There’s just one catch: Many Democratic contenders aren’t willing to say they support returning their party’s leader to power. Democrats across the country are locked in an awkward dance in which candidates sensing a chance to win GOP-held seats are increasingly distancing themselves from the party’s longtime liberal leader from San Francisco – at the same time that the 78-year-old congresswoman is boldly holding on to power. So far, 10 Democratic candidates have said they would oppose Pelosi’s return to the speakership, while at least another 10 have conspicuously declined to express support for her, according to interviews with several candidates and a Washington Post review of statements collected by Republicans. They are following in the footsteps of newly elected Democratic Rep. Conor Lamb, who scored a stunning upset in March in a Republican Pennsylvania district after saying he would oppose Pelosi. 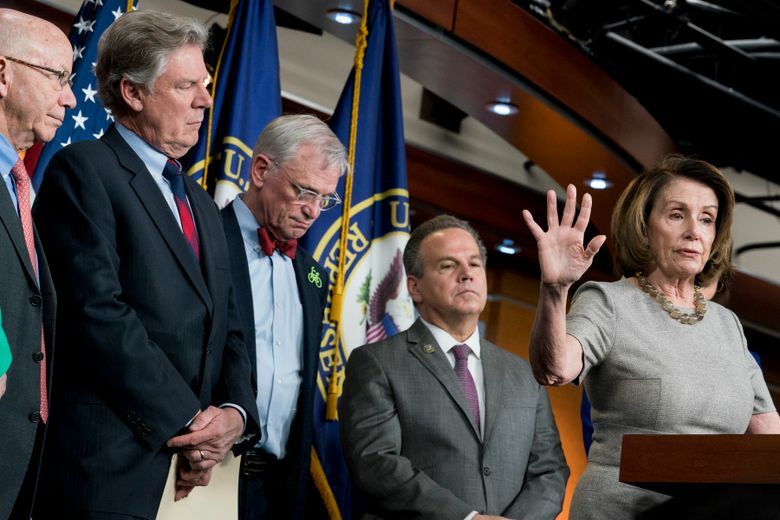 This clamor for change at the top underscores the generational tensions within the House Democratic caucus as younger lawmakers look to replace not only Pelosi but also two other septuagenarians – Minority Whip Steny Hoyer, D-Md., 78, and Assistant Democratic Leader James Clyburn, D-S.C., 77. Pelosi stands as the Democratic conundrum, a prolific fundraiser and skilled politician, as well as a deeply polarizing figure used by Republicans as a club against Democrats. The dynamic sets the stage for a potential showdown – should Democrats win the majority – between Pelosi allies, who would relish the historic moment of returning a woman to one of the most influential positions in the country, and her critics, many of whom would have won office by promising a change in leadership. “We will win. I will run for speaker. I feel confident about it. And my members do, too,” Pelosi told a meeting of Boston Globe reporters and editors on Tuesday. Earlier, at an event in New York City, she introduced several of her fellow House Democrats to the crowd by highlighting which committee they would lead next year, assuming a Democratic majority. There is the question of whether Pelosi would have the votes to win the job. Unlike other leadership posts, which are selected by secret ballot in the respective caucuses, the entire House must vote for the speaker in early January. The minority party never votes for the majority’s speaker-designate, so it would require Pelosi to get at least 218 votes from her side of the aisle. So, if Democrats ended up with a caucus of 235, Pelosi could afford to lose 17 votes when the speaker vote is held on the floor. Pelosi’s strength comes from several sources, the first among equals being her fundraising on behalf of candidates and the Democratic Congressional Campaign Committee. Her advisers attributed 45 percent of the committee’s $34 million raised in the first quarter of 2018 to Pelosi. But there are other, beneath-the-radar reasons Pelosi feels confident in her post. Despite GOP claims, Pelosi is not as unpopular as she was eight years ago when she was speaker. Back then, 58 percent of Americans had an unfavorable view of Pelosi, including 41 percent who held a strongly unfavorable view. In a Washington Post-ABC News poll last month, just 44 percent of Americans held an unfavorable view, with those strongly disliking her down to 29 percent. That played out in Lamb’s victory. Outside Republican groups spent more than $6 million on TV ads in southwestern Pennsylvania, the lion’s share of it on commercials trying to tie Lamb to Pelosi. But the 33-year-old Democrat ran an ad making clear he would not support Pelosi, calling for new leadership on both sides of the aisle. It helped to inoculate him against the Pelosi attack line. GOP operatives now worry that other Democrats will follow Lamb’s lead and that there will be even less potency in the anti-Pelosi campaign that they have been hoping will save their majority in the fall. 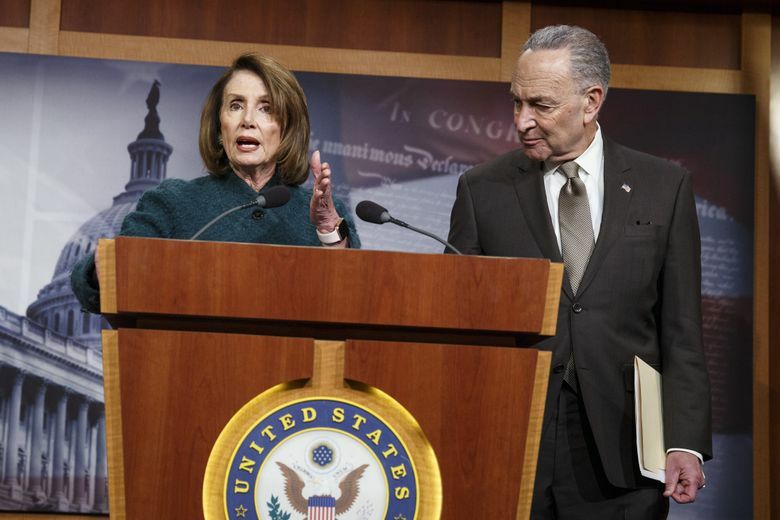 Most Democrats have distanced themselves from Pelosi but have tried to avoid taking a hard-and-fast position on how they would vote if she is the Democratic nominee for speaker. Kathy Manning, a Democratic candidate here in western North Carolina, said in an interview that she would like to see an open contest for party leader. “I would make that decision like I make all my decisions: Get as much information as I can, find out who’s running, find out what their positions are, then vote for the person who’d make the best leader,” Manning said. This sort of nuanced answer – she never explicitly says she opposes Pelosi – is one that Republicans will use to try to turn her into a Pelosi clone. North Carolina Republicans have already begun highlighting Manning’s $500 and $1,000 donations to Pelosi’s political committees in 2002 and 2004. Pelosi and Hoyer have held the top two spots in leadership for more than a dozen years, while Clyburn has held the No. 3 post since 2011. Clyburn raised eyebrows a few weeks ago when he told Politico that this year’s midterm elections were an up-or-out moment for the trio, that all three would have to step down if Democrats failed to secure the majority. Democrats are not demanding a loyalty pledge from candidates who might flip the majority their way. McCready and Manning have been added to the Democratic Congressional Campaign Committee’s “Red to Blue” list, denoting them as candidates who can expect party support in their primaries and the general election. In an interview, Elissa Slotkin, a “red-to-blue” candidate in a GOP-held southwest Michigan district, said she would prefer an alternative to Pelosi. “I think it’s clear that on both sides of the aisle, people are seeking new leadership, and I’m going to be looking for someone who best represents my district and what we care about here. And I believe that’s a new generation of leaders,” said Slotkin, a former Defense Department official running her first congressional race. Some House Democrats are openly advising these candidates to oppose Pelosi. “If Republicans want to do the same thing to Elissa Slotkin that they did to Conor Lamb, all Conor Lamb had to do was point to the front page of the newspaper that said ‘Conor Lamb will not vote for Nancy Pelosi.’ It’s phony. It’s played out,” said Rep. Cheri Bustos, D-Ill., who traveled to Michigan this week to campaign for Slotkin.